Handbook of Research on K-12 Online and Blended Learning . Published Sep 01, 2014 . ISBN 978-1-3125-8708-3 Publisher: ETC Press. 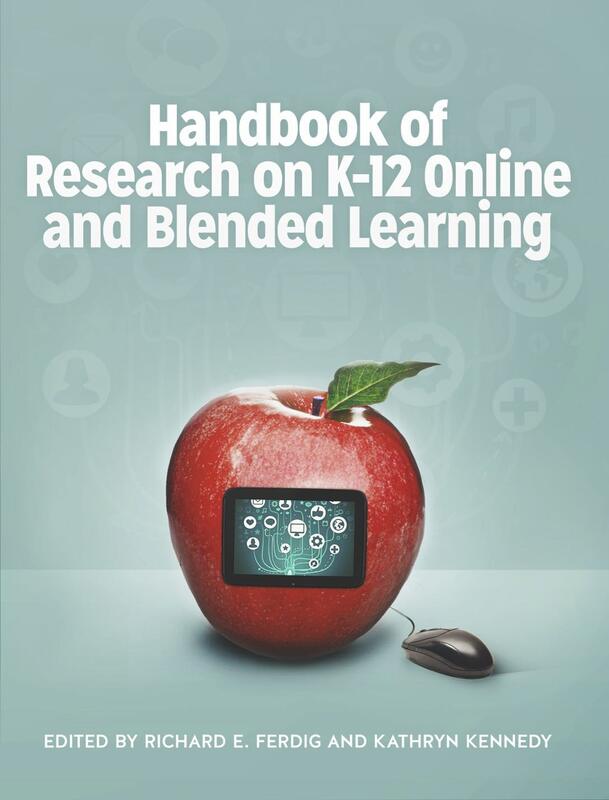 The Handbook of Research on K-12 Online and Blended Learning is an edited collection of chapters that sets out to present the current state of research in K-12 online and blended learning. The beginning chapters lay the groundwork of the historical, international, and political landscape as well as present the scope of research methodologies used. Subsequent sections share a synthesis of theoretical and empirical work describing where we have been, what we currently know, and where we hope to go with research in the areas of learning and learners, content domains, teaching, the role of the other, and technological innovations. This volume attempts to synthesize existing research; in doing so, it will act as an important resource for those interested in this topic. However, there are always new studies, concepts, and domains within K-12 online and blended learning. Therefore, we ask readers to think of this work not as a completed product but rather a flowing conversation. Each section includes potential new areas for growth in understanding practice, policy, and research. We encourage authors to contact us at handbookresearch (at) gmail (dot) com to propose missing research studies for certain chapters or for proposals on new chapters for future volumes. We look forward to hearing from readers and continuing this important conversation regarding K-12 online and blended learning research. Ferdig, R.E. & Kennedy, K. (2014). Handbook of Research on K-12 Online and Blended Learning . ETC Press. Retrieved April 22, 2019 from https://www.learntechlib.org/p/149393/. Practice and policy in K-12 online learning in New Zealand: What lessons are transferrable? US and International K-12 Online Learning: How Have They Developed Differently?